Big news: Our Natural Beauty exhibit at the Philadelphia Flower Show was awarded the Gold Medal in the educational display category, beating out the big dogs at the U.S. Environmental Protection Agency for the top spot! We work with our partners at the Pa. Horticultural Society throughout the year to host dozens of free Rain Check workshops, bringing free rain barrels and discounted green projects to homes across the city. 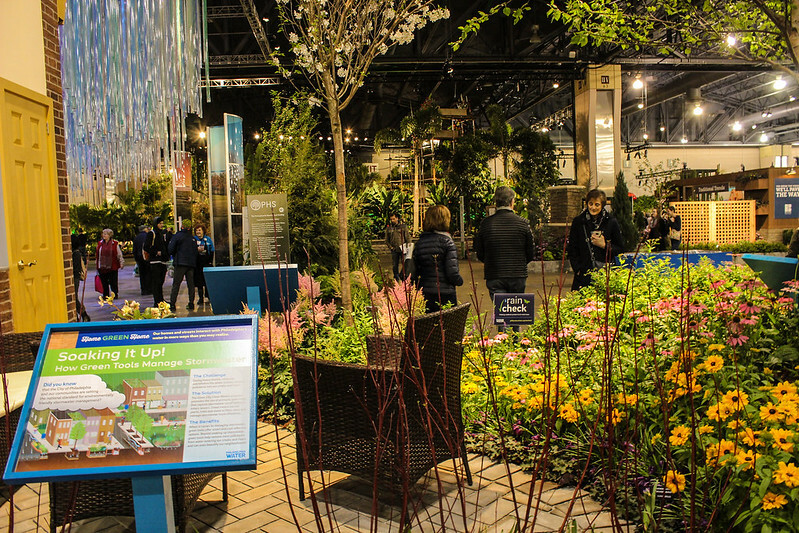 But their big annual bash—the world-renowned Philadelphia Flower Show—gives us a special opportunity to highlight our precious waterways, what we do to protect them, and how reliable water infrastructure is critical for a city with world-class horticulture and urban agriculture communities. 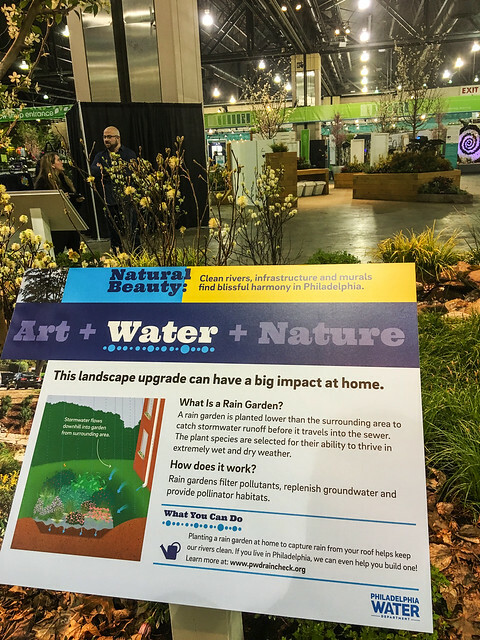 Natural Beauty embraces the show's overarching "Flower Power" theme to showcase how we use the power of nature to rebuild urban streams and protect our waterways with green stormwater infrastructure. Adding some groovy flair to fit in with the 1960s-era decor, the recreated and rehabilitated stream that is at the center of the display endlessly flows through a scene featuring samples of art from a mural that local artist Eurhi Jones created with PWD and residents in 2016 to connect a rain garden with its West Philadelphia community. 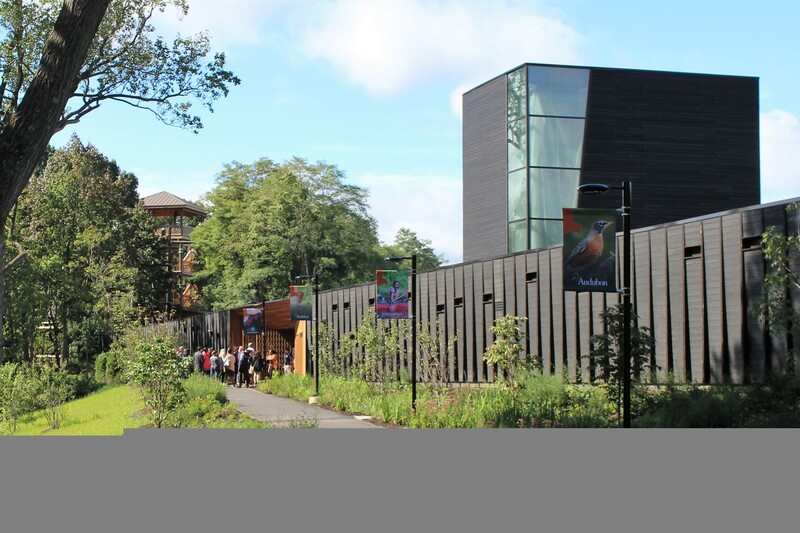 Titled “Your Hands Shimmering on the Legs of Rain,” and made with the Mural Arts Program, the work features the Schuylkill River, local streets, aquatic wildlife like shad and otters, and native plants. It overlooks a Green City, Clean Waters site that used to be a vacant lot. If you have Flower Show passes, stop by Natural Beauty on Wednesday, March 6, from 5 to 8 p.m.
Jones and Tiffany Ledesma, representing PWD, will be on site to answer questions about the display and how art can help communities build a deeper appreciation for crucial infrastructure, the environment and where those worlds meet. Jones, PWD, and other artists have collaborated on other murals and public art projects to start a public dialogue about infrastructure investments, the waterways and wildlife those investments protect, and the value of having abundant, clean drinking water. Located in the Home Gardening Hub section of the showroom, right across from the PHS Shop, Natural Beauty is site No. 44 on the Flower Show map and will remain on display through the duration of the 2019 Flower Show. 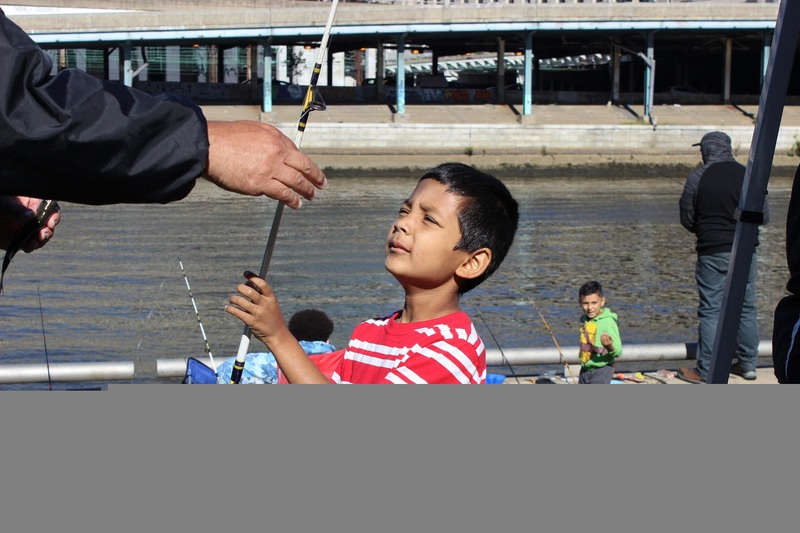 Stop by and learn more about how Philadelphia is a national leader in efforts to restore and protect urban waterways! Extra: Check out the Natural Beauty booklet designed to explore the exhibit themes.